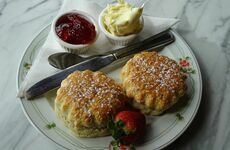 Sitting down with a cream tea scone is synonymous with heritage, elegance and delicious simplicity. Those who love cream teas are often sticklers for tradition, choosing to eat their scone in a certain way... But what if you want to try something just a little bit different? 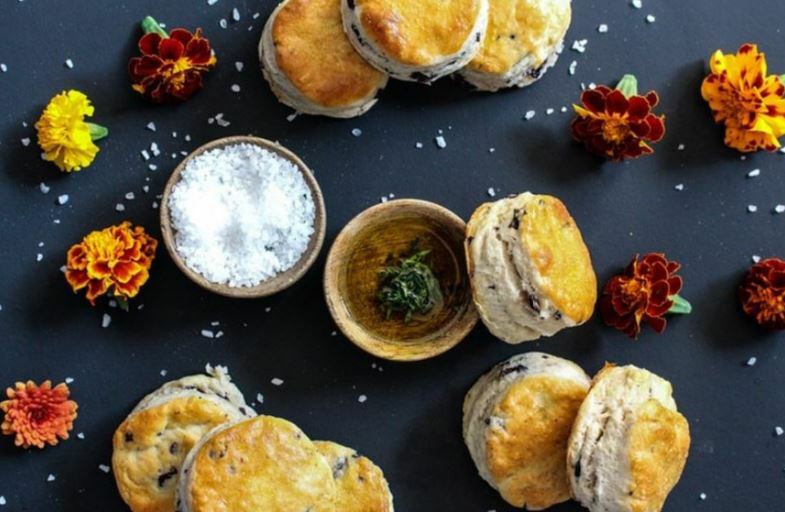 If your cream tea routine is getting a little stale, Classic Cornish Hampers are here to inject some creativity into your favourite pastime, giving you some alternative ways of indulging in your scone obsession. #1. 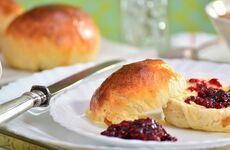 American Style - In England round is the default shape for all traditional cream teas...but why not take some inspiration from across the pond? Cooking the dough in a circular shape and then cutting it into 6-8 triangular segments will not only ensure minimal wastage when baking, but you'll also get even more surface area to spread your favourite toppings on top! #2. 'Jammy Dodger' inspired scones - get a little bit creative with scones inspired by a childhood favourite! Simply roll up your dough into a ball, using the end of your rolling pin to make an indentation and fill with jam. One baked, drizzle in icing or white chocolate for a super sweet finishing touch. #3. Keep it simple - scones packed with fruit and raisins sometimes taste just as good without a topping, so why not take things back to basics? #4. Savoury favourites - proving that scones don't have to be sweet! You can try packing your favourite scone with bacon, cheese and onion for little pasty-like snacks that everyone will love. #6. A chocoholic's fantasy - if you want to make your favourite cream tea an activity of complete indulgence, create rich, sweet and irresistible chocolate scones for the perfect birthday or afternoon treat. #7. Straight out of the oven! - nothing tastes better than piping hot scones straight off the baking sheet. Don't wait for them to cool - grab them while they're hot! #8. One for the coffee lovers - give your cream tea a kick with a recipe that includes 1/2 cup of strong coffee and chocolate chips for the ultimate 4pm pick-me-up.